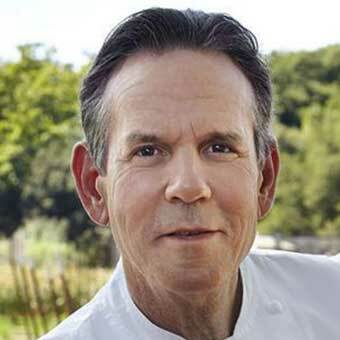 Seabourn has partnered with Michelin-starred chef Thomas Keller, who will create menu items for the Odyssey, Sojourn and Quest cruise ships beginning in early fall. Also, Seabourn and Keller will collaborate on a restaurant that will debut on the Seabourn Quest next year before being expanded to the rest of the fleet, including the new Seabourn Encore, which is due to enter service in late 2016. Keller has been awarded three Michelin stars for two of his restaurants: The French Laundry in Yountville, Calif., and Per Se in New York. Another restaurant in Yountville, Bouchon, has received one star. Keller has also authored five cookbooks and is publisher of Finesse Magazine. 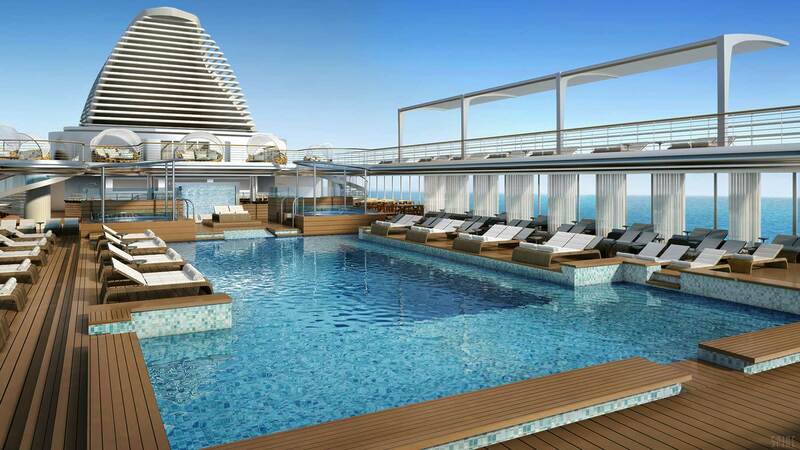 The Seven Seas Explorer, a ship scheduled to enter service in summer 2016, will have a T-shaped pool with a large shallow area and a narrower deep section, Regent Seven Seas Cruises revealed on Tuesday. Surrounding the pool will be a teak deck with loungers. One deck up, circular double loungers with white fabric shades overlook the pool. Also, there will be fixed sunscreens on supports running the length of the pool on either side of the upper deck, providing shade to loungers. The pool area is mostly white, with teak and blue tile, giving it an elegant contemporary flair. At the end nearest the pool grill are two hot tubs shaded by large circular sunscreens. Sheer fabric curtains divide the areas at the far edges of the pool deck into more intimate lounge spaces. Regent said the Deck 12 sports area features shuffleboard, putting greens, golf nets, a bocce court, paddle tennis and a jogging track. The Explorer will be Regent’s first new ship since 2003. Carnival Cruise Line announced that its vice president of worldwide sales, Joni Rein, will depart after seven years at Carnival. Rein will step down Aug. 15 but consult for Carnival for the balance of the year. 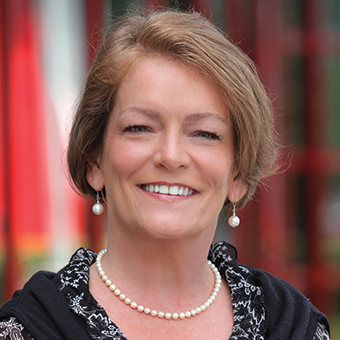 Rein joined Carnival in 2008 as vice president of field sales from the North American office of Costa Cruises, where she had been vice president of sales development. She was promoted to her current title in 2009. As head of sales, it fell to Rein to rally travel agents, including some who were disenchanted with Carnival, following the Carnival Triumph engine room fire in 2012. Rein spearheaded the Carnival Conversations program, a series of steps to repair agent relations at Carnival and implement more agent-friendly policies. Carnival said no replacement for Rein has yet been named.